Man has been using natural ingredients for skin care and other health benefits for thousands of years. Although we all know what the basics are, there is still a lot that needs to be discovered. 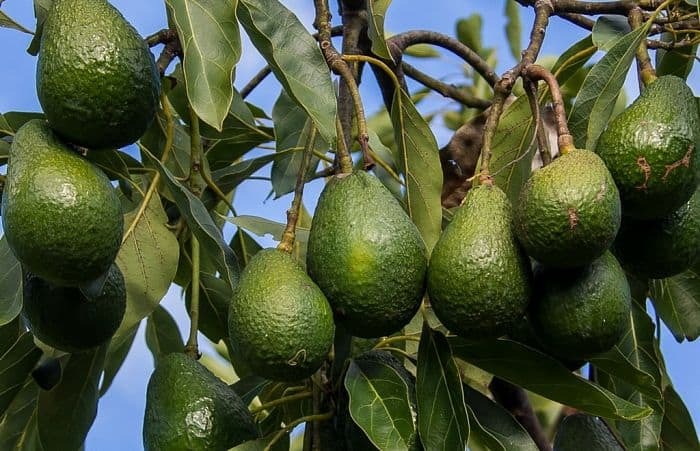 One recent addition to the list of beneficial fruits, veggies, and plants surely has to be the South America-native avocado. This tasty and plump fruit has been considered ‘too fatty’ for the longest time by medical professionals and chefs alike. But it has recently come to everyone’s attention that the fatty acids in its composition are actually the healthy kind, and their reach extends beyond our nutrition. In fact, avocado oil is an amazing ingredient to use on the skin. This isn’t a well-known fact yet because many people still mistakenly consider it an essential oil. However, avocado oil is, in fact, a carrier oil, which means that it is stable and can be used as a base for many solutions, including skin care ones. It’s no secret that avocado oil is used as a healthier alternative to cooking nowadays. But its many amazing skin benefits aren’t to be neglected either. The minerals, vitamins, antioxidants and fatty acids in its makeup are an excellent source of nourishment and protection that your entire body will appreciate. Due to its anti-inflammatory properties, avocado oil is great at diminishing irritation, as well as keeping your complexion hydrated, smooth and elastic. This makes it perfect for healing and replenishing dry and chapped skin, as well as protecting it from harmful UV rays and calming any itching or redness that might appear. There are many ways in which you can use this thick, green substance and reap its full benefits. Because it is a stable, carrier oil rather than a volatile, essential one, mixing it with almost anything is possible. By doing this, you can make anything from masks and scrubs to tanning oils and heavy-duty moisturizers. Although winter is still very much alive and kicking, it’s never too early to get your summer glow on. While sunscreen will always be everyone’s number one pick, tanning oils are a lighter alternative. And if they’re natural, that’s even better. Thus, if you’re planning to catch some sun, or want to be prepared for the warm season ahead, this homemade tanning oil with an avocado recipe is the one for you. 10 drops coconut essential oil. Melt the coconut oil until it reaches liquid form, then carefully mix in the avocado, walnut and sesame oils. After they are all incorporated, add the vanilla and coconut essential oils. 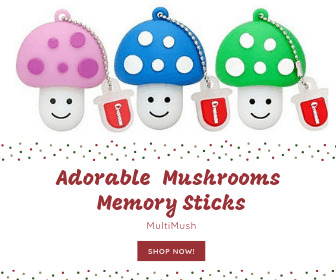 This will give the concoction a pleasant, tropical smell that will make you feel sunkissed while on the sweetest vacation and protect you from UV rays at the same time. A DIY, organic sugar scrub has amazing healing benefits for the complex. All skin types can benefit from one, and the best recipe by far is the avocado oil and lavender one with raw turbinado sugar. It is best made when lavender is in season so that you can enjoy its antiseptic and acne-fighting benefits to the fullest. a few freshly picked lavender springs. Add the avocado oil and the sugar in a jar and incorporate. After you’ve achieved a gritty, cohesive mixture, add the essences. Top it all off with the fresh lavender springs and stir it all up one last time. Apply twice a week to get the best results, and make sure not to go overboard. Scrubs can irritate sensitive skin when used too often. It’s no secret that eggs are the best natural source of collagen. And studies have shown that avocado oil promotes its metabolism in the body, which is why pairing it with egg whites has such beneficial effects on the complexion. 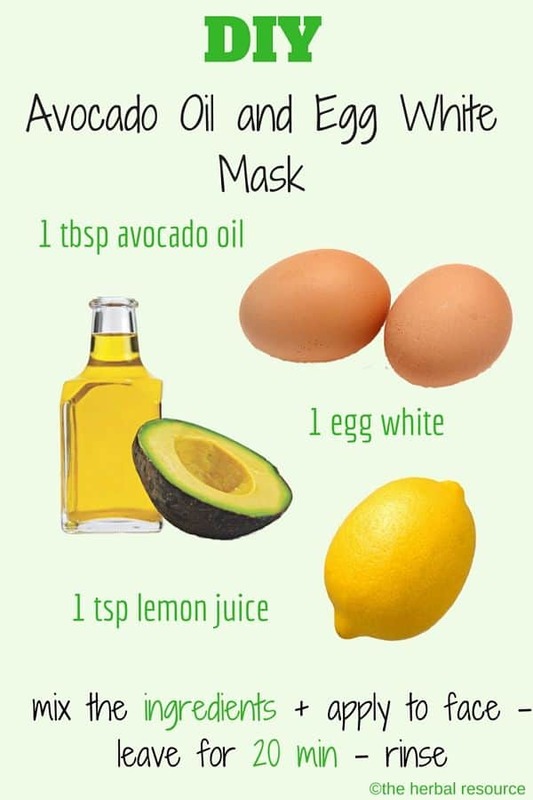 Just add a little lemon juice and your skin will look better than ever thanks to this easy three-ingredient face mask. Remove the egg yolk and put the white in a cup, then add the avocado oil and lemon juice and mix well. Apply the resulting solution on your skin and let it sit for twenty minutes. Rinse it off with lukewarm water or with a damp washcloth if you prefer this technique. If you want to use avocado oil for its amazing moisturizing properties, whipping it in a mixer with some room-temperature coconut oil until it becomes creamy and fluffy is an amazing option. Not only will this smell amazing, but it will also nourish any problem areas on your skin which are in dire need of it. For this recipe, it’s important to keep the coconut oil at room temperature. Do not melt it by any means. It needs to remain buttery for the moisturizer to become whipped and fluffy. Add it to the kitchen mixer and stir for 8 to 10 minutes while gradually incorporating the avocado oil and bergamot essential oil. Use it on dry skin patches, as well as in lieu of regular sunscreen. As it turns out, avocado is great for so much more than cooking. While its oil has been used as a healthy alternative for frying and sautéing for a few years now, its many benefits for the complexion aren’t to be neglected either. Add it to a scrub, mask, moisturizer or even a homemade tanning oil to achieve visible results in the shortest time possible. Mike Jones is a writer that is particularly interested in offering useful advice on how to live healthier. He believes that natural remedies are a great alternative to traditional medicines but only if used under supervision. Besides his interest in natural living, Mike writes about traveling, cooking, and health. Check more of his work on Twitter and Facebook.